Econsultancy has today published a new best practice guide aimed at companies wanting to join up online and offline data, bringing together their often separate web analytics and offline business intelligence platforms. Below, the report’s author Julian Brewer answers some questions about the widespread challenges and opportunities that inspired him to write this report. Research carried out by Econsultancy and other organisations has made it clear that many companies are struggling to join up different data sources even though the business imperative for doing this is becoming clearer than ever. According to our Modern Marketing Manifesto, marketers need to think about and deliver experiences and marketing without channel delineation. Data (both online and offline) forms the bedrock upon which successful research, segmentation, marketing automation, targeting and personalisation are built. Against this backdrop comes our timely new report entitled Business Intelligence Meets Web Analytics – Breaking Down the Silos, written by Julian Brewer, an experienced digital marketing consultant now working for Lloyds TSB. What inspired you to write this report and why do you think it’s important? Business Intelligence grew up and established itself in an offline world whereas web analytics naturally was a child of the digital world. As these two worlds merge, web analytics becomes more pervasive as an input for the organisation to form a holistic view of the customer touch points. It’s a fascinating frontier where huge customer and commercial benefits can be delivered by understanding and accessing this insight. Few companies have got their arms around the full picture but I firmly believe that as a discipline this will become a competitive advantage that redefines business models and becomes a driver of the winners in the next economic cycle. Nothing beats getting closer to understanding customer needs and behaviours, and digital has materially changed the inputs to business intelligence which needs to catch up. Who within a business (and what types of business) should be reading this report? 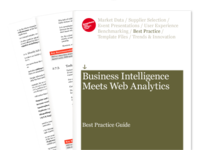 The Business Intelligence Meets Web Analytics Best Practice Guide is aimed at analysts, marketers, executive management and agencies that work with web analytics data and aspire to deliver more business intelligence from their investment. The report covers a number of examples across retail, financial services and beauty. These are only examples, as the guide applies to any organisation where customer and channel behaviour data is held separately and where they recognise a need and complexity of bringing this data together. Are tech vendors meeting the needs of organisations who are trying to join up online and offline data? Tech vendors are changing rapidly in this space by both building out their wider offering across channels and by opening up their platforms to a wider more agnostic integration approach. As with all change in markets it is shaking up established players and providing opportunity for new vendors. The established web analytics players such as Adobe, Coremetrics [IBM], Google Analytics and Webtrends all provide integration with offline data to one degree or another. However there is hardly a month that goes by without another strategic announcement between established web analytics and business intelligence players, or a funding announcement for a new entrant. The tech vendor market continues to try to meet the changing and maturing needs of organisations. Is there a single ‘best practice’ approach to joining up data, or is it more complicated and nuanced than that? There are some fundamentals around joining data together such as ensuring that the data in both sets is Consistent, Accurate, Relevant and Sufficient (CARS); more of that in the guide. The knack is to define what you are collecting (your KPIs) and aligning this to your to business and customer needs. This is where the approach can become specific to the market in which is business operates. At times these integrations are complex because the business is already complex, for example a large retail bank. An organisation may wish to keep it relatively simple and still get great value from joining up data. I’d encourage you to start somewhere and explore the benefits. Is the ‘big data’ trend helping organisations join up data or is it just a distraction? The ‘big data’ trend is certainly not a distraction as behind many of the tech vendors is a big data capability, for example Webtrends Streams relies on a big data capability for its near real time data to be shared across organisations. Rather than latching on to a term such as ‘big data’ it’s probably more valuable for an organisation to define their new KPIs across touch points and to explore solutions against this requirement rather than getting worried about specific terms. What is most important for a joined-up approach to web analytics and business intelligence …. technology, process or people? 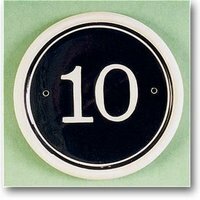 That’s a tricky one as they are all important at different stages of your project. Overall people are the most important factor in mobilising, delivering and running a joined-up web analytics and business intelligence project whether it’s communicating a vision or pulling together the insight – technology in many ways can be your least important consideration. Stats include social advertising in the alcohol industry, a drop in Facebook usage, consumer loyalty, barriers to mobile payment adoption and Google News.